Tell Everyone to Save the Date!!! 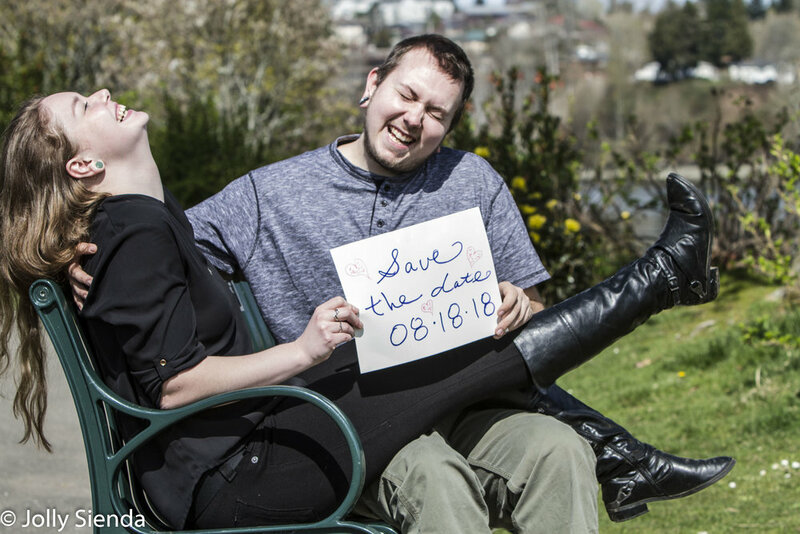 Spring Engagement Photography on the Kitsap Peninsula! I'm so excited to work with Maurean Grogan and Dan Dimmen. This couple has the right idea! And, they want all of their family and friends to Save the Date! Having fun and feeling a little love for one another in the sun! Celebrating love, spring, and their August 18, 2018, wedding date. We had a great time taking their photos at Bremerton's Evergreen Rotary Park. The cherry blossoms were perfect! Loving life together. Congratulations to Maurean and Dan! I can't wait to photograph your wedding!! !